My family loves breakfast and we consider it as the major meal of the day – the meal that propels us throughout the day. As you can imagine it’s not just a piece of bread and coffee. Having grown up in an Asian household, I am used to breakfast with rice, eggs and some meat – yes, quite heavy. While I continue to serve hot and cooked breakfast to my family, I am glad that for busy, crazy days I have a delicious and healthy alternative that requires barely 5 minutes of prep and best of all may be done the night before!!! Hurrah for Overnight Oatmeal!!! I have done this previously and my family have enjoyed this a few times already but I actually never wrote a post about it despite it being so popular! But, it’s better late than never, right? Perhaps because it got eaten so quick so there was never much of a chance to photograph the food! 🙂 So yesterday, I woke up earlier and yay – I finally got a photo of it! In a bowl mix together the oats, milk, yogurt, chia seeds, vanilla extract and honey. 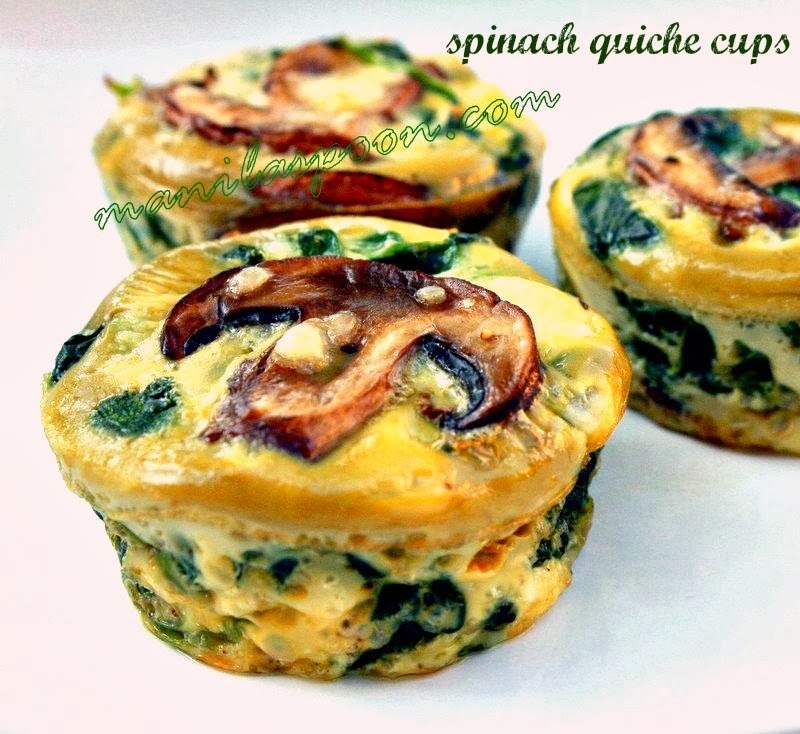 Refrigerate overnight or for at least 2 hours. 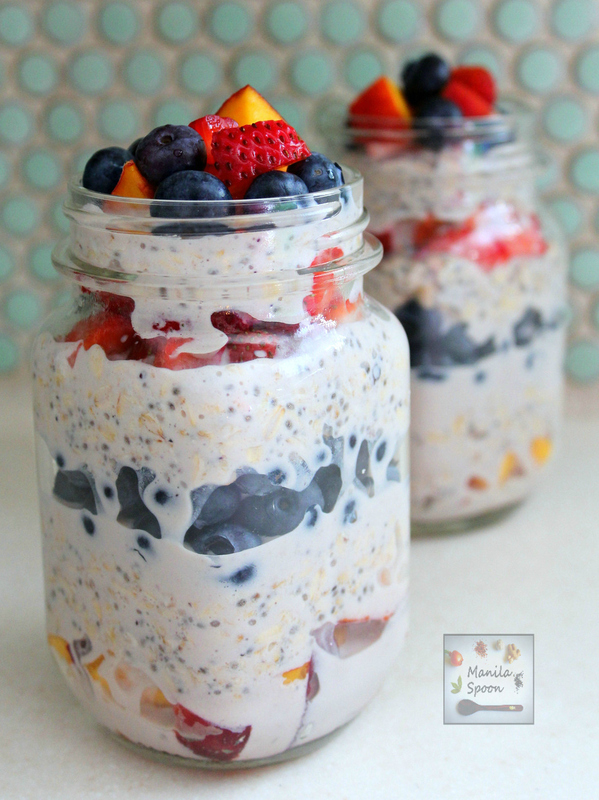 Layer the oats and fruits in a jar or simply mix together everything in a bowl. Enjoy immediately. 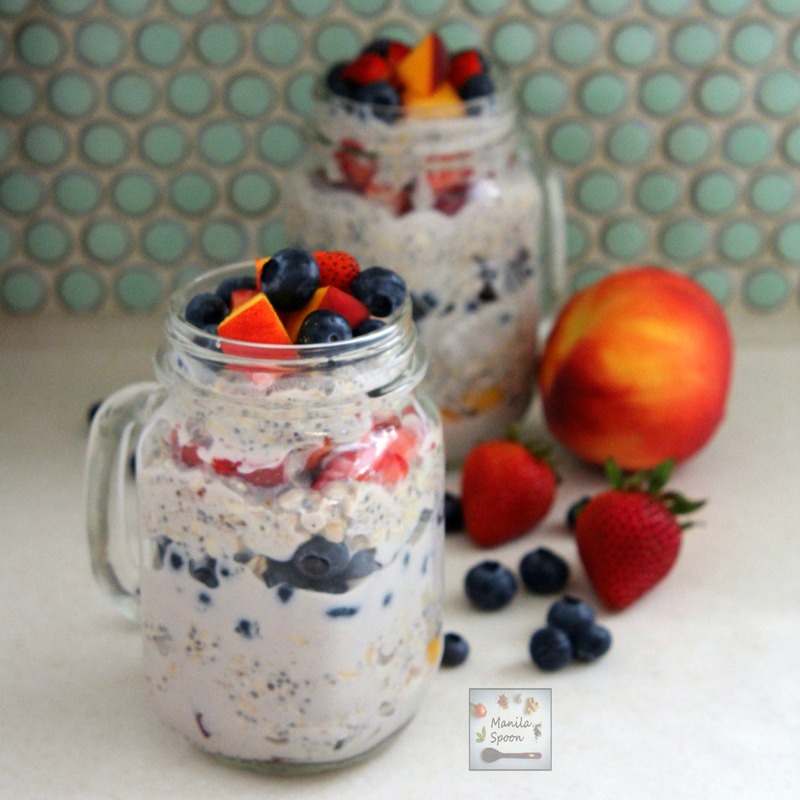 We are all about the overnight oats at the moment too and these look beautiful. I love how you have packed them with fruit.